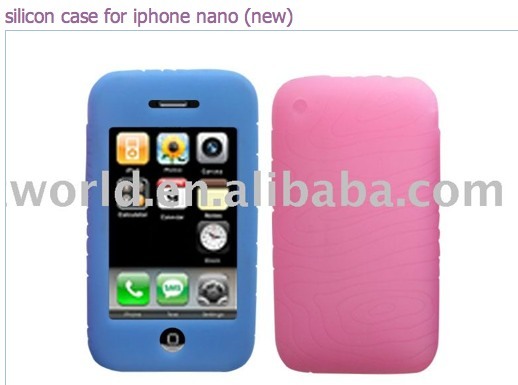 While investigating a story about the upcoming iPhone 5, I stumbled across several Chinese resellers who are selling what they refer to as “iPhone Nano” parts and accessories. Most compelling is an LCD screen labeled “for iphone NANO 5” but there are also several cases that are built for an iPhone that currently doesn’t exist. I blocked out their full name from the screenshot for obvious reasons. 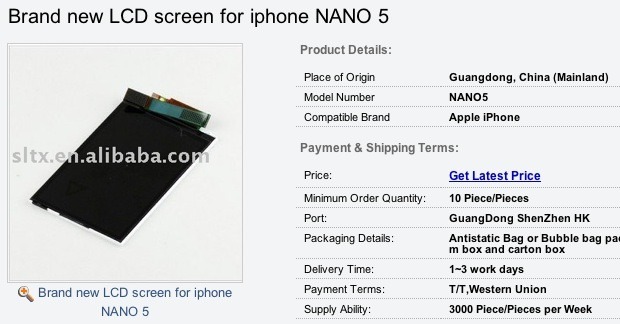 When I asked about other parts, they said there is also a ribbon cable for the “iPhone Nano 5” available for purchase. Do these cases and LCD mean anything? Nobody knows but Apple. It’s entirely possible that this is a mislabeled LCD screen and that the LCD and case manufacturers are working on inaccurate information, but it certainly makes you wonder especially in lieu of recent rumors about such an iPhone. 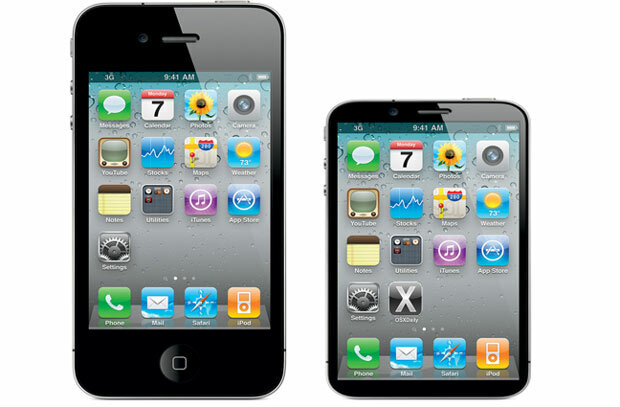 The idea of an iPhone Mini have both been spread by and subsequently shot down recently by major news organizations, including the New York Times and Wall Street Journal. Apple’s COO even hinted at a cheaper iPhone coming in the future, which some interpret as potentially being a smaller model. I wouldn’t be surprised if these items get pulled down, but as of the time of writing you can find them for sale on alibaba. Do you think a manufacturer is going to bother mass producing something if they don’t have at least *somewhat* reliable information on an upcoming product? There’s a lot of money on the line, this is why there are so many leaks out of China, accessory manufacturers want to be the first to have products available when something hits the stores. What I think is really interesting is that they don’t say the parts are for an iPhone 5 or an iPhone Nano, they combine the two. 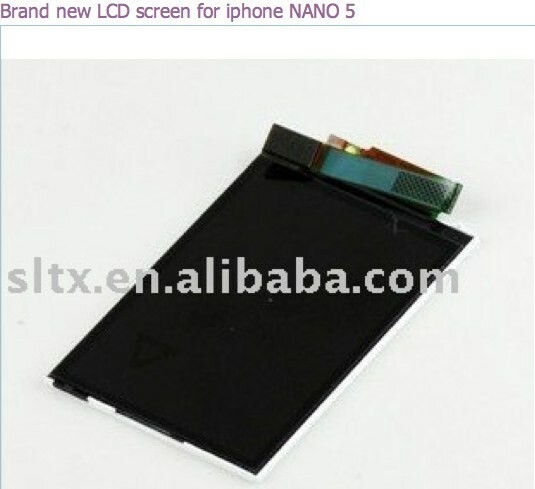 That’s an LCD from the fifth-generation iPod nano, not an iPhone nano. And you seem to be confusing things talking about a lack of a home button. This is simply the LCD, not the digitizer panel that would contain a hole for a home button. 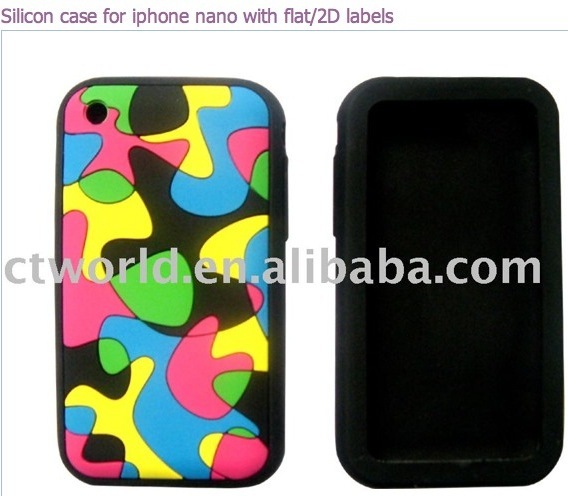 And iPhone nano cases have been floating around forever…obviously none of them have ever pannedout. Except that iPod nano screens aren’t touch. What makes it suspect to me is that the seller page is keyword stuffing for all smartphones, they could be trying to sell anything to anyone who will buy it. The latest version of iPod nano is multitouch. Small, but multitouch. This could simply be a bigger version of it. Or maybe they’re making a nano phone. Only time will tell.